I love Korean food and needless to say, I will cook Korean very often. On my recent trip to KL, my daughter took me to K mart, a korean shop selling korean ingredients and cookware. My daughter knows I love Korean products and introduced me to this earthenware bowl. Love this black earthenware bowl so much that I can't wait to use it . 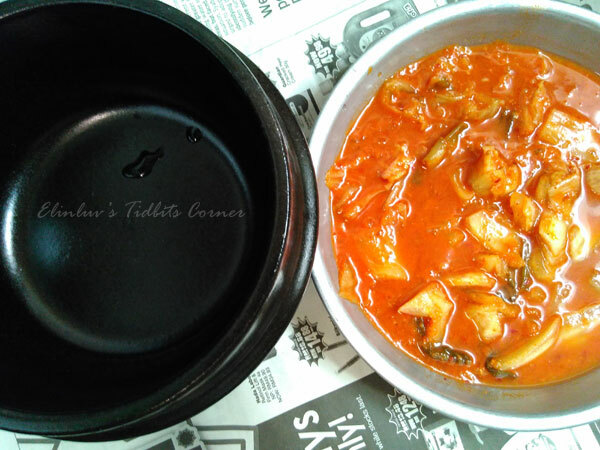 I cooked kimchi jjigae (kimchi stew) with it. 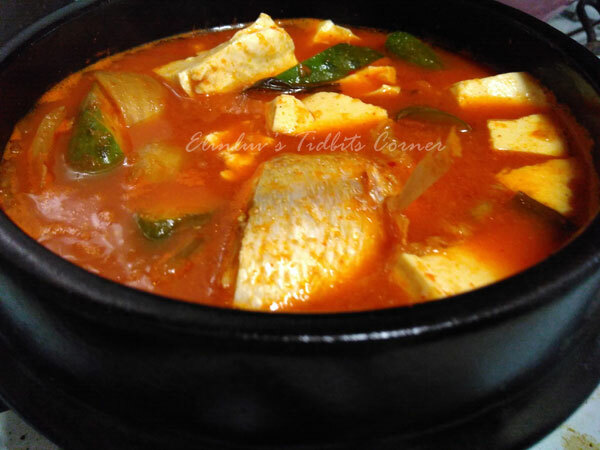 On a healthier note, I just add tofu and fish to the kimchi jjigae and I can have just this one dish for dinner. 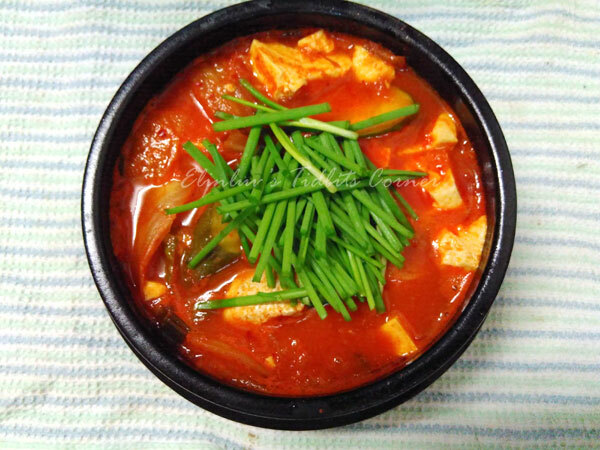 You can make pork belly kimchi jjigae if you like . 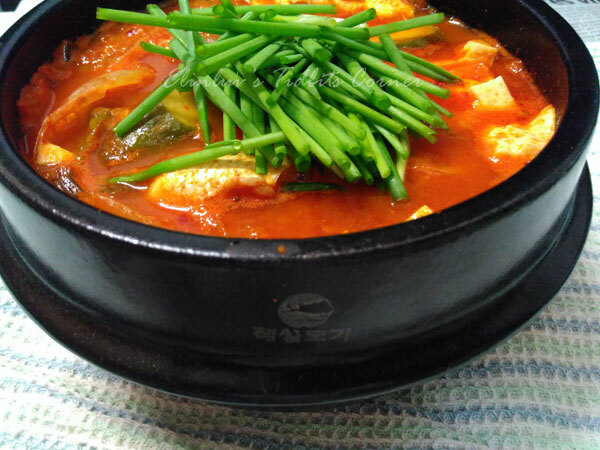 I think my next kimchi jjigae will be pork belly...slurp! 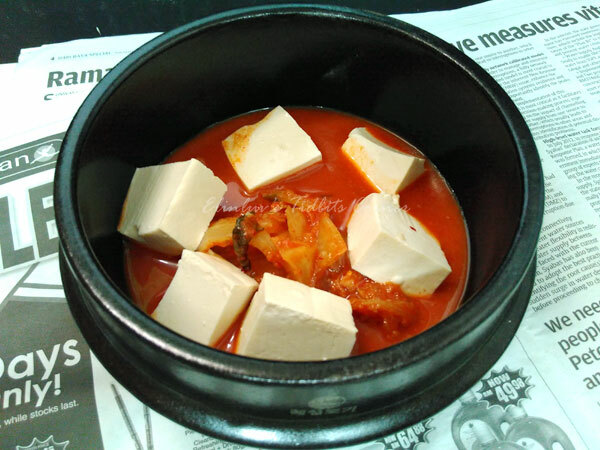 Add the aged kimchi, tofu, cucumber/zucchini, jjigae base sauce , chicken broth to an earthenware bowl and boil it under medium heat till aromatic. Add in the fish fillets last and give it a quick boil. Once it is ready for serving , garnish with the spring onions and serve it hot with rice.